The Langtang valley, just north of Kathmandu, is one of the most accessible areas of Nepal for a trekking holiday. Despite this and the fact that it can be easily explored in a week, you will not find it crowded along the trail. 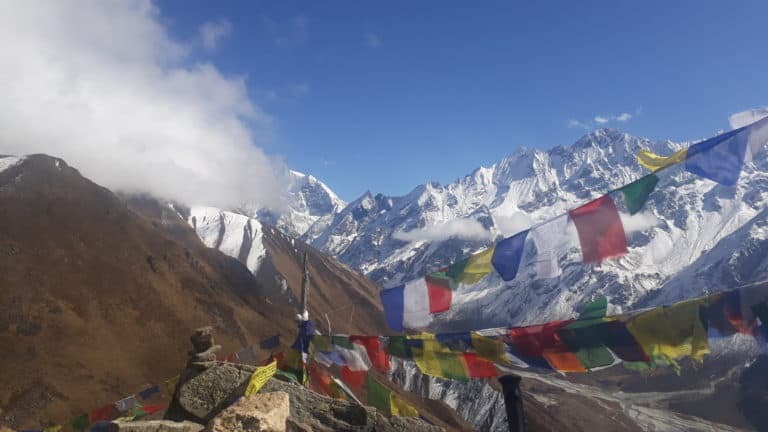 It might lack the high peaks of some of the more dramatic trails around Annapurna or Everest, but the Langtang National Park is one of the most enchanting and unspoiled regions that will reward the traveler with memories to last a lifetime. After a ride up to the start of the trail at Syaphru Besi, trekkers climb up the narrow lower Langtang valley, where hillsides clad in oak and rhododendron give way to an alpine landscape of glacial rivers, fir trees and larches and then opens out into a broad valley. Here you are more likely to come across herds of Yaks than other people, although you will get a real taste of the local Tamang culture in the villages along your route. At the end of the trail, high up amidst snow capped peaks is Keynjing Gompa, the last village in the valley, and the spectacular Langtang Lirung glacier. 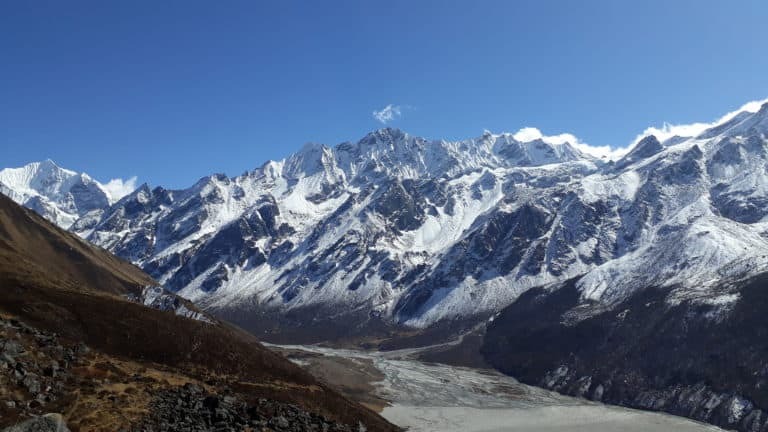 The Langtang valley is famous for its flora and fauna, and you may even see some of its rarest inhabitants, the snow leopard and the red panda. As you climb higher into the wild, open mountain country, the closer you get to the spirit of Nepal: a land of friendly people. Please do not hesitate to contact us through Viber, WhatsApp or email. We will respond you shortly.